Alchemist Community Development Corporation is pleased to announce the hiring of accomplished nonprofit leader Tiffany Rosso as the new Executive Director. With over 20 years of experience in nonprofit development, program management, volunteer coordination and events planning, Rosso is excited to take the reins of this storied nonprofit dedicated to food justice, food access and neighborhood improvement. 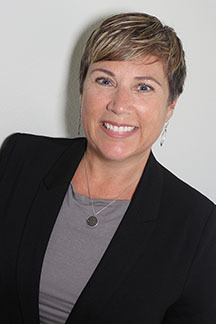 She holds a Masters of Nonprofit Administration from the University of San Francisco and has worked for several Bay Area and Sacramento nonprofits, including the California Musical Theatre, March of Dimes, and Off the Mat, Into the World. ”As our organization has grown year after year, it became evident that we needed to add to our management team to ensure continued efficient operations and high-quality delivery of services to the community. This is a positive change for Alchemist CDC that is part of our strategic plan to successfully manage our growth and take on more complex community development projects,” says Davida Douglas, who has decided to transfer from the Executive Director position to Programs and Operations Director at Alchemist CDC. Rosso steps up as the nonprofit’s leader at an exciting time, as Alchemist CDC spearheads an impactful exploration on the prospect of a Sacramento community kitchen and food business incubator. In recent years the nonprofit has focused on food justice and food access, but with new projects underway and an eye to the future, Alchemist CDC looks forward to strengthening its community development role in response to changing needs in the region.